Residents and frequent visitors to South Florida look forward every year to October 15—the beginning of stone crab season. These delicate, sweet crustaceans are only available from that date through May, the reason that lines in high season form to get into the restaurant known and named for them, Joe’s Stone Crab. 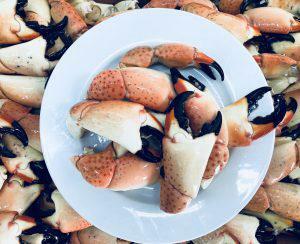 But for those who want their stone crabs delivered, either in the Miami area or elsewhere in the U.S. and guaranteed fresh, never frozen, a new company, simply and descriptively named Fresh Stone Crabs, is springing into action. Ultimately, the restaurant business did too but in recent years, watching the rise of internet sales, Abramowitz decided to get back into the business, concentrating on shipping fresh crabs which was impossible to do when he had the restaurant. But there is still a finite supply even though he has 50 boats in the Florida Keys trawling for stone crabs and he predicts a good shellfish season due to an unanticipated benefit of Hurricane Irma last year: cleansing the ocean bottom. “But depending on the weather, some mornings you get 1000 pounds, other mornings 100,” he says. Deliveries on Miami Beach are free, next day deliveries have a $20 fee elsewhere in Florida with other cities in the lower 48 charged a lower than usual rate that he negotiated with FedEx. 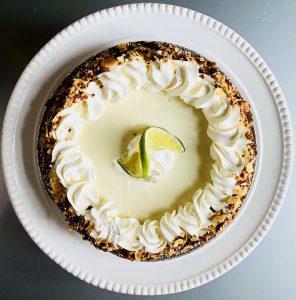 (Local orders of 10 pounds also get the typical dessert, a key lime pie, thrown in for free. Far flung deliveries don’t as yet since the pie’s consistency can’t be guaranteed.) Three pounds—a nice dinner for two—is the minimum amount for shipping and the cost for large is $120 plus $40 shipping; jumbo is $30 more. Five pounds is the minimum amount for local delivery. (Abramowitz is also offering a 10% discount during the first two weeks.) And former customers are already calling in (he recommends calling so he can customize orders, 305-989-1969 ) for platters to put out on Thanksgiving and Christmas.